You'll be £10.00 closer to your next £10.00 credit when you purchase Secret Wings of WWII. What's this? There are many myths and legends surrounding the advanced German aeronautical technology of the Second World War. There are also facts and proven events. Yet within these stories and behind these facts lie conspiracy theories, mistaken assumptions and denials that seem to contradict the evidence. So what really happened? How far ahead were the German scientists? And, of even greater interest, why and how? There have been other books about advanced German wartime aeronautics, yet few authors have fully examined the detail of the designs and their relevance to the fighter and bomber legends of the 1950s and '60s, let alone the current crop of military and civil all-wing or blended-wing aircraft. This book charts the story from it origins, through current-day innovations and beyond, into the all-wing future of tomorrow. For the aviation students and readers who are totally into aviation technique, this is an interesting book. 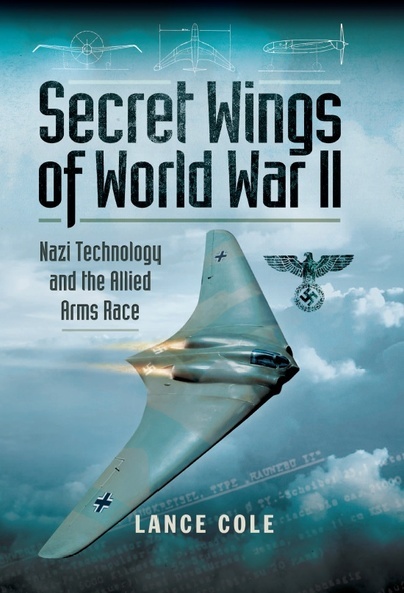 This interesting account seeks to separate the truth from the myths and legends that surround the advanced German aeronautical technology of World War Two. The author examines the detail of the designs and their relevance to the aircraft that followed. The book is generally interesting and it reveals many secrets that are not well known outside the aerospace sphere. For the majority of the readers this will be very entertaining and it will present Nazi aerospace technology in a new light.